Early diagnosis and tailored treatment of common injuries related to playing football and other sports have become an increasingly important focus for many physicians in the field of sports medicine. This course focuses on the diagnosis and treatment of common football-related injuries. 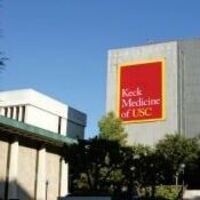 Multiple lectures, case presentations and discussions are offered by USC faculty experts in concussion and spine injuries, shoulder and elbow injuries, as well as injuries related to the hip, knee, ankle and foot. A special section presents the evolving advances to predict and track sports-related injuries, the current status of robotic surgery, and 3-D printing for the sport medicine field. This symposium provides up-to-date, objective and evidence-based clinical content relevant to physicians and health care providers practicing in the field. Participants will attain and integrate new practical information and knowledge into their clinical practices to improve patient care and patient outcomes.